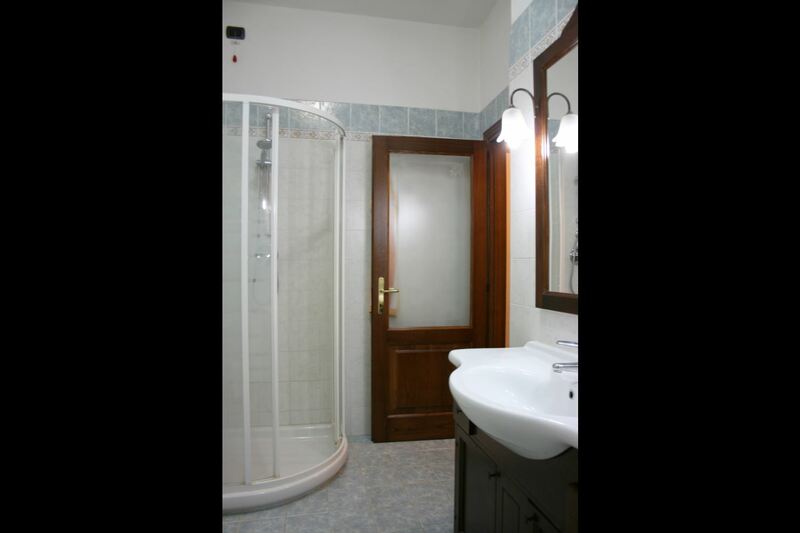 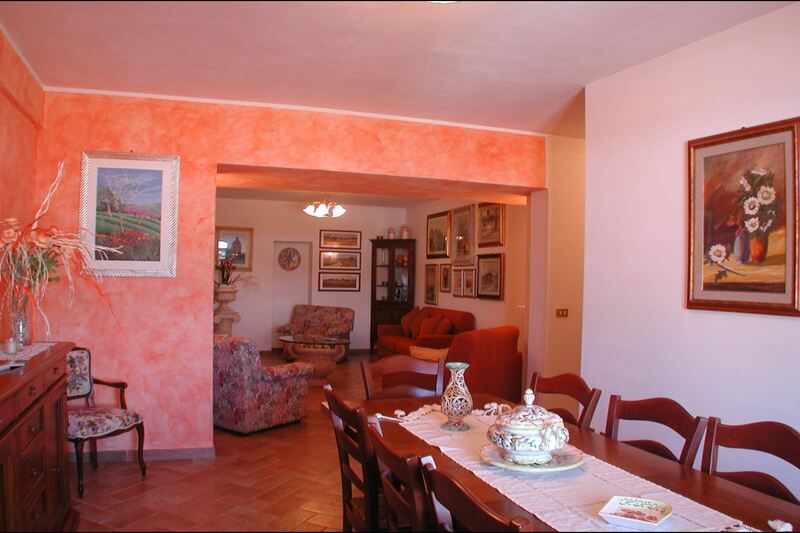 Ground floor apartment with two bedrooms and large living room with fireplace. 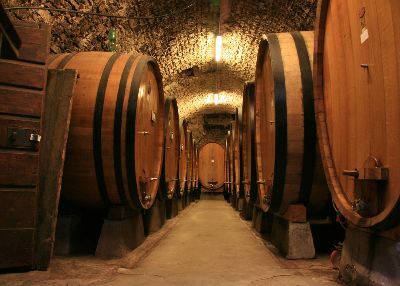 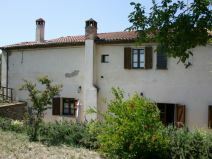 Located on a hill near Foiano della Chiana. 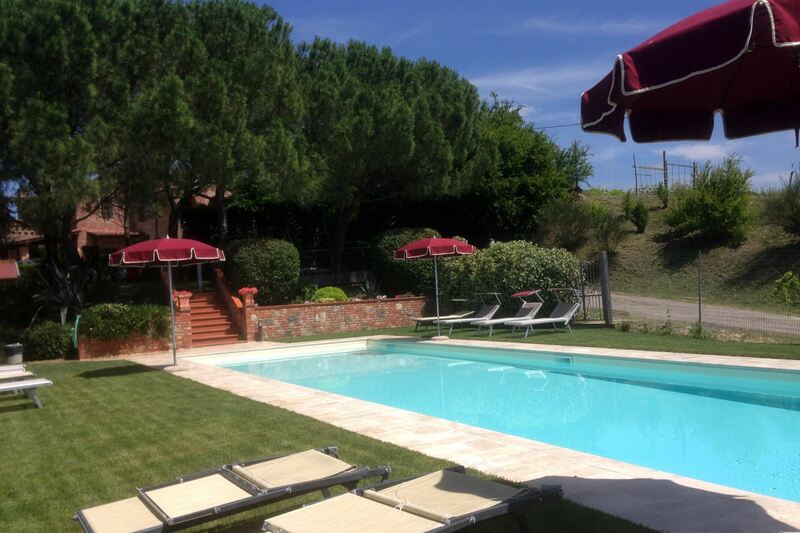 Enclosed pool, Wi-Fi access, satellite TV. 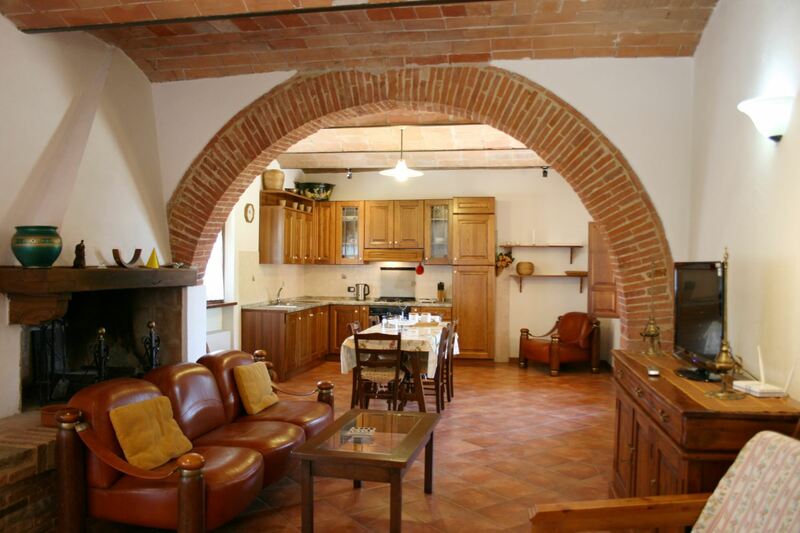 Brick farmhouse divided into three cozy apartments. 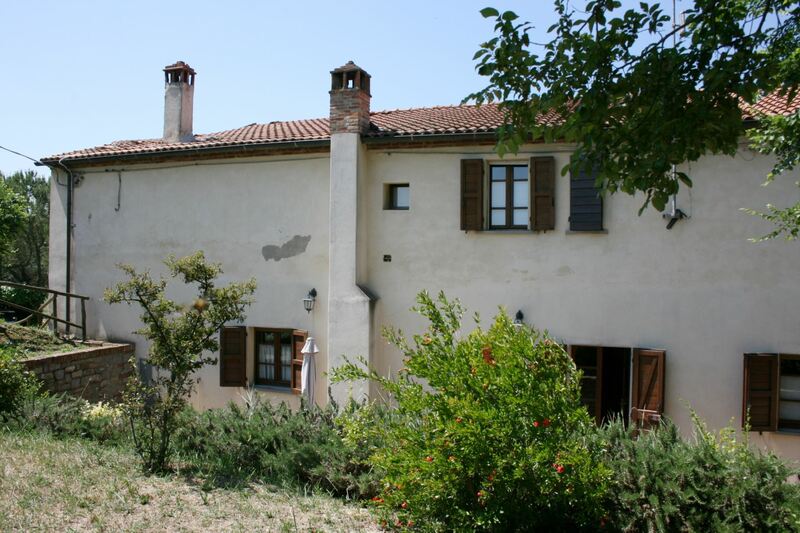 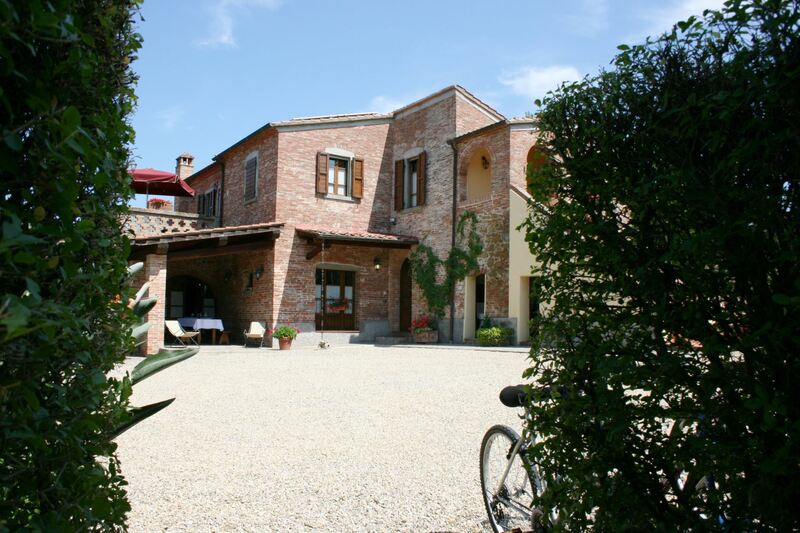 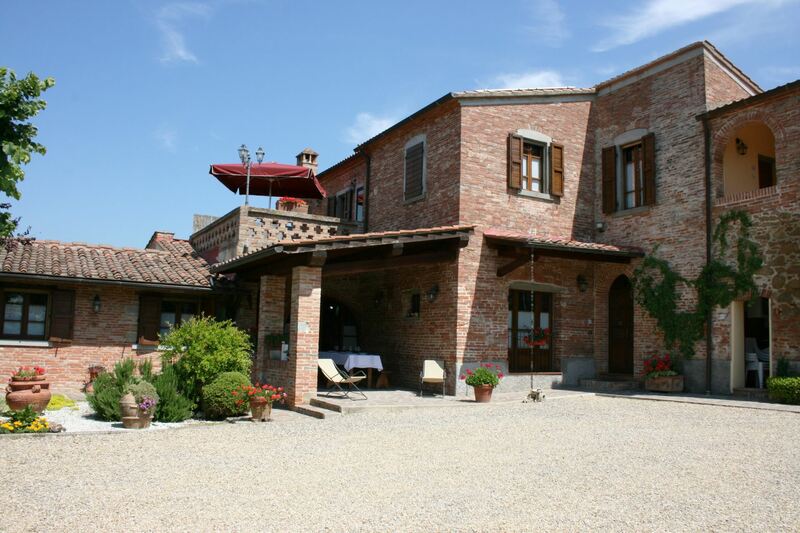 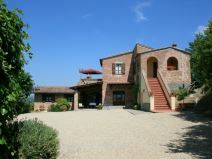 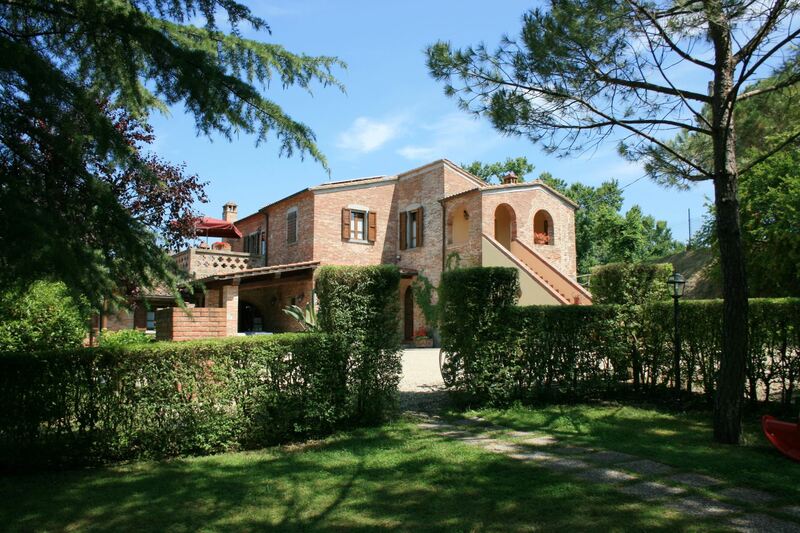 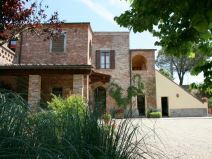 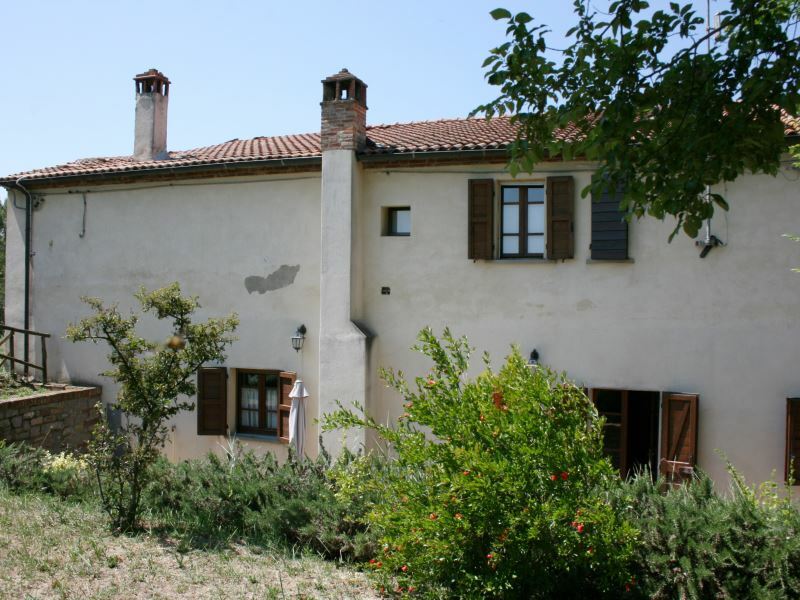 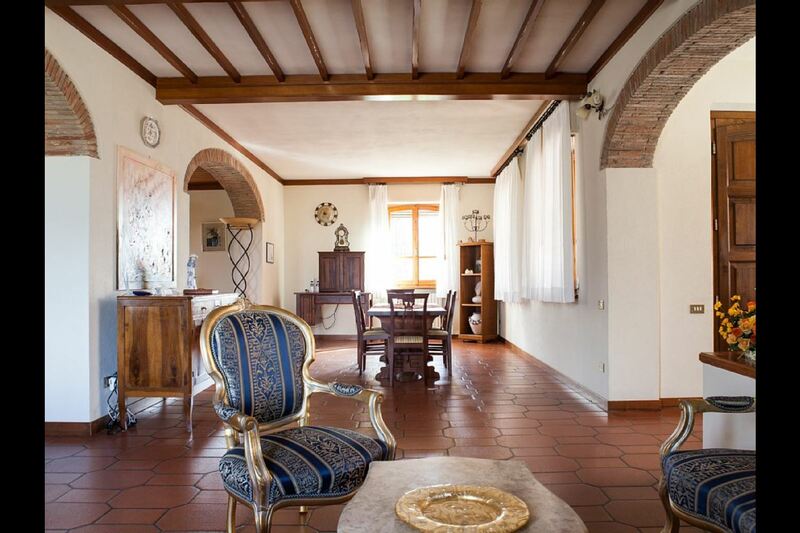 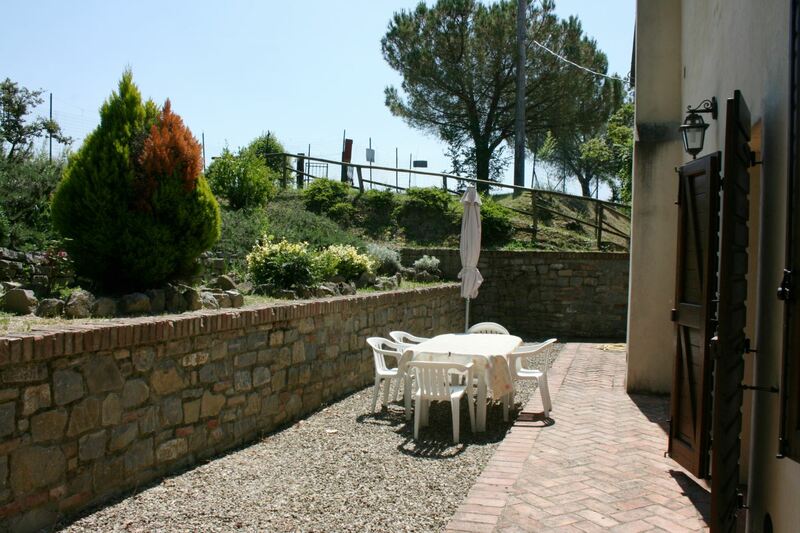 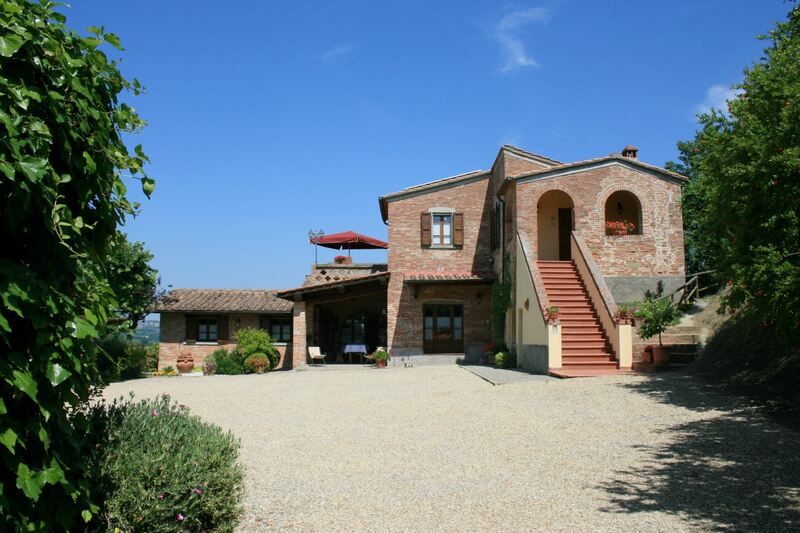 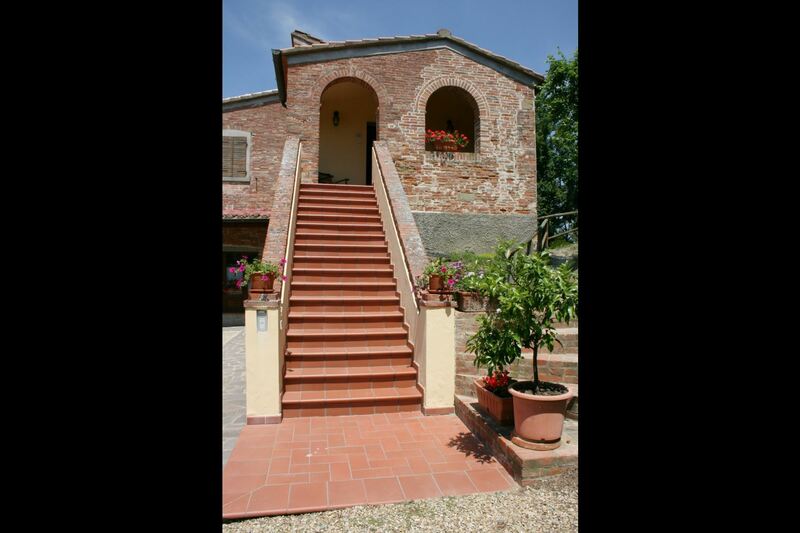 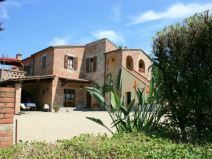 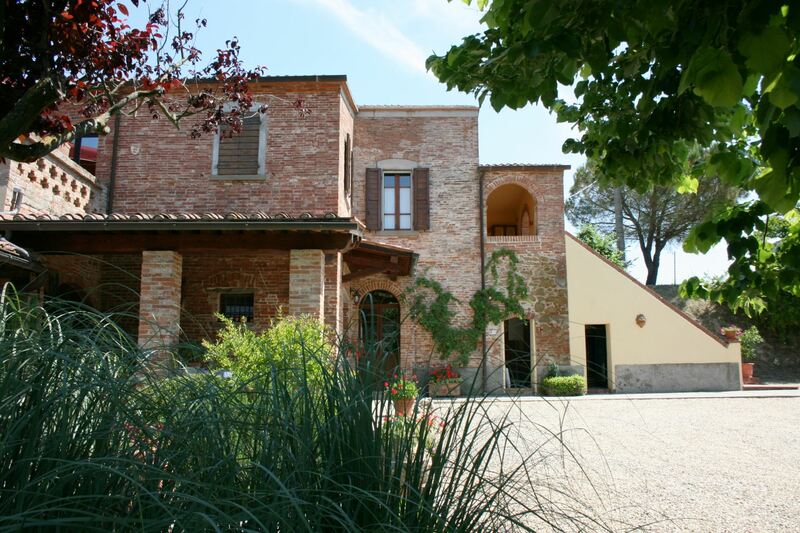 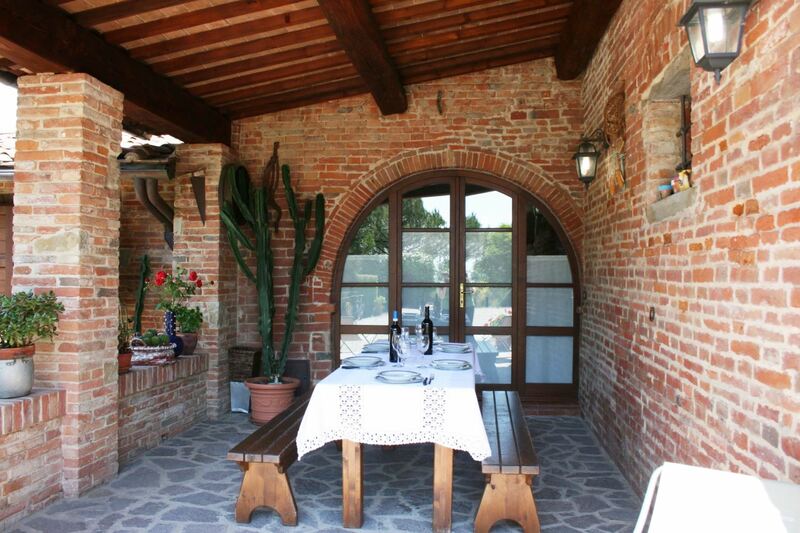 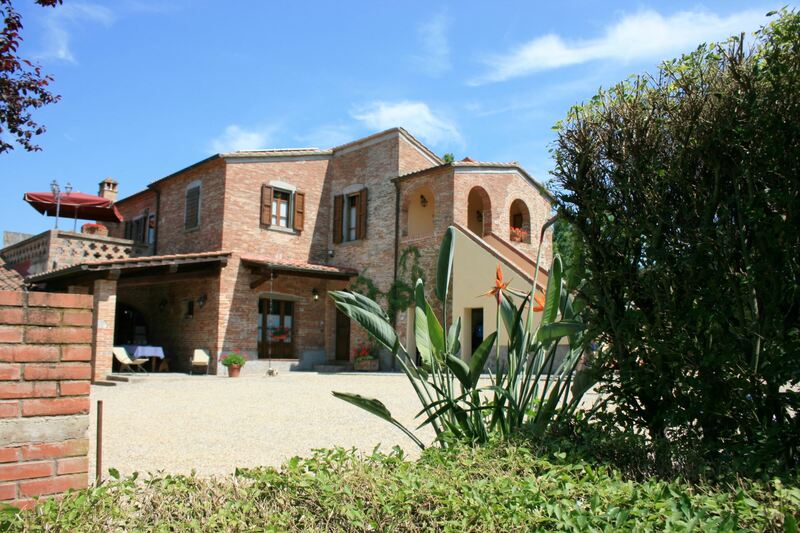 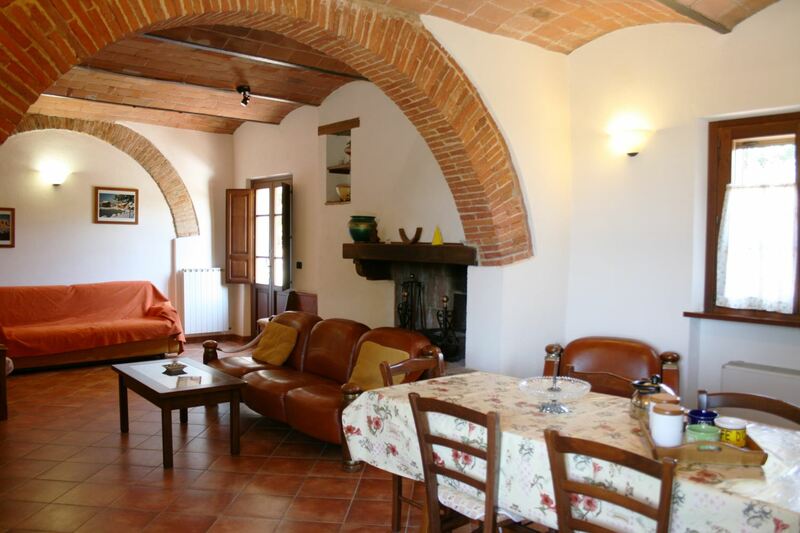 Traditional brick farmhouse, situated at the top of a hill, where there is always a cool breeze, and where one can enjoy a magnificent view of the Valdichiana. 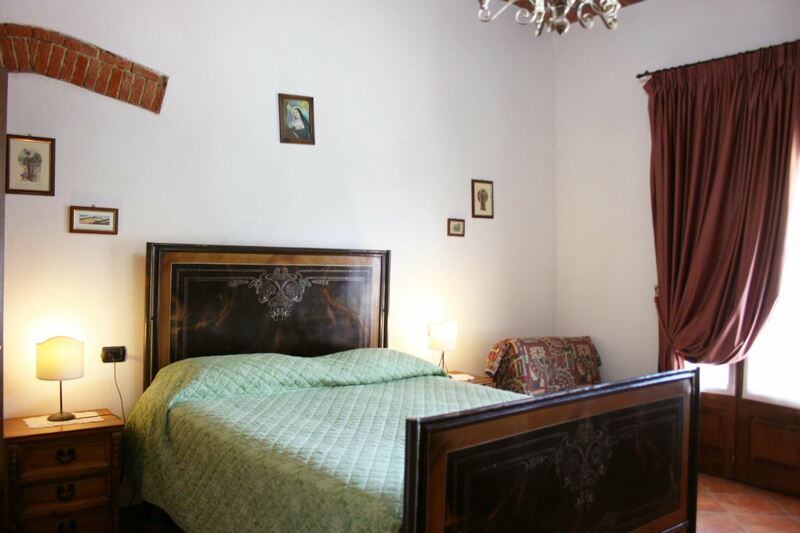 The original building has been divided into three delightful apartments. 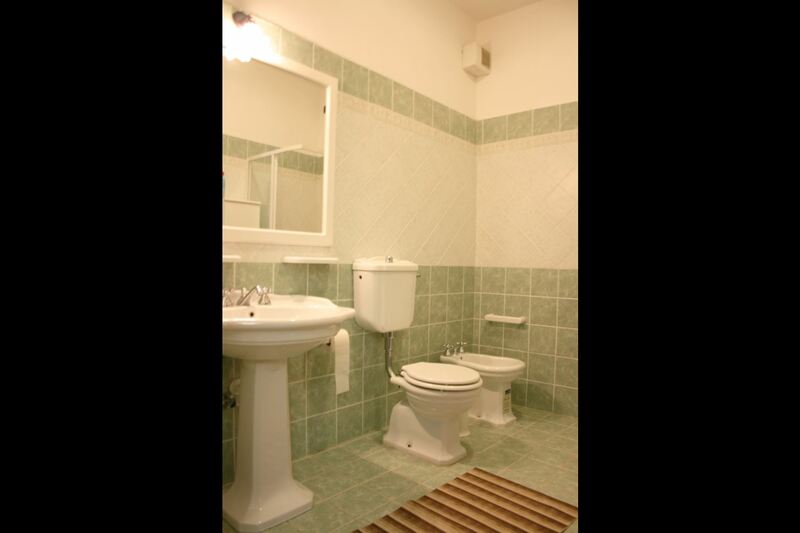 The apartments have been simply furnished but with all the modern comforts (dish-washer, toaster, satellite TV, wireless internet access) and have pleasant gardens equipped with garden furniture. 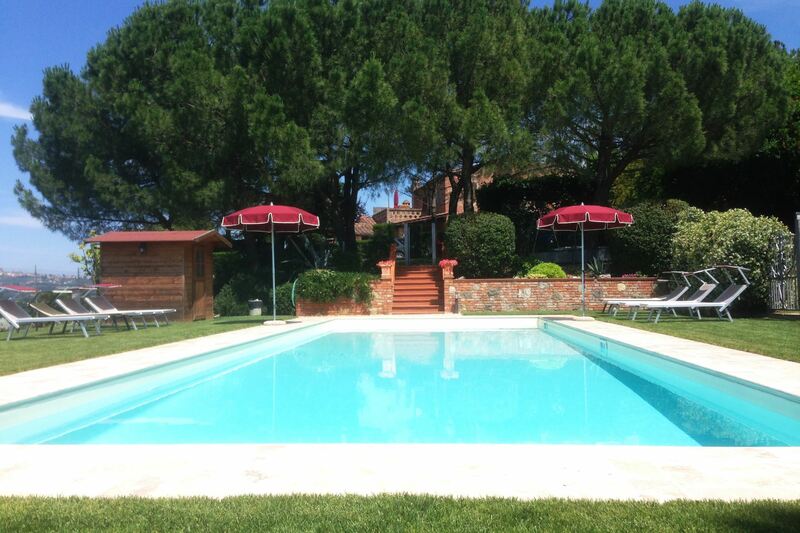 The pinewood, the pool and the garden at disposal. 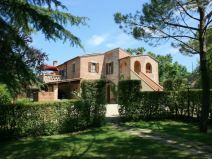 A shady pinewood near the swimming pool, the laundry room, the barbecue, the bicycles, the children playground and the beautiful panoramic and fenced swimming pool (size 5 x 15 m, depth m. 0,60-1,60), also used by the owner, with a hot shower, changing room and sunbeds are all at guests' disposal. 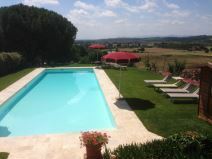 The proximity to the major towns of Tuscany and Umbria. 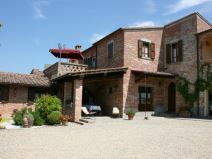 A holiday in this beautiful residence offers the opportunity to relax by the pool or make the most of its convenient location by visiting the most beautiful artistic towns and charming minor centres of Tuscany and Umbria such as Cortona, Montepulciano, Pienza and the area around Lake Trasimeno, all within a short drive from the house. 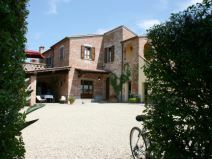 Bicycles are at full guests disposal. 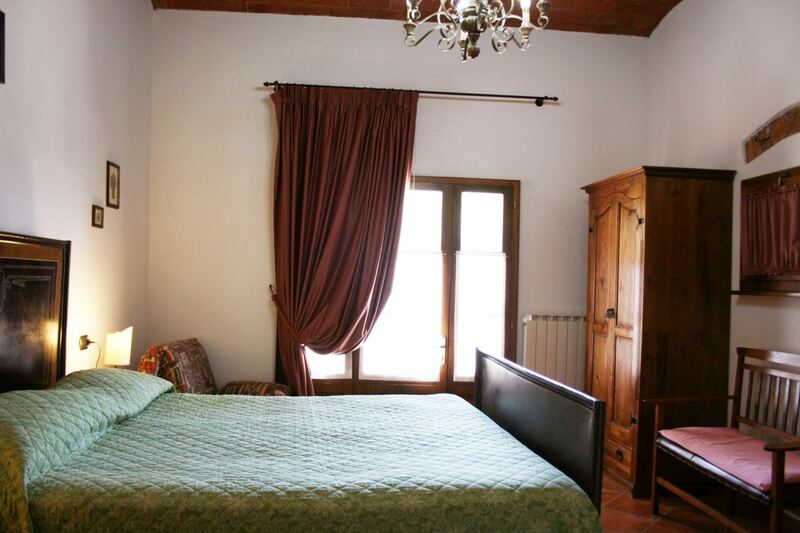 Renting all three apartments (groups up to 18 persons) it is possible to benefit of the privacy and independence of a single house. 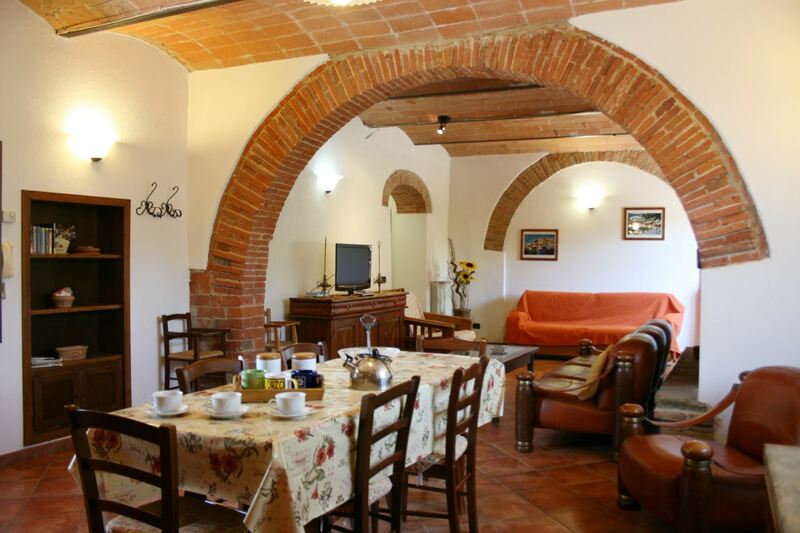 Ground floor apartment with typical vaulted ceiling, large sitting/dining room with fireplace, kitchenette and double sofa bed, two double bedrooms one with bathroom with shower, bathroom with shower. 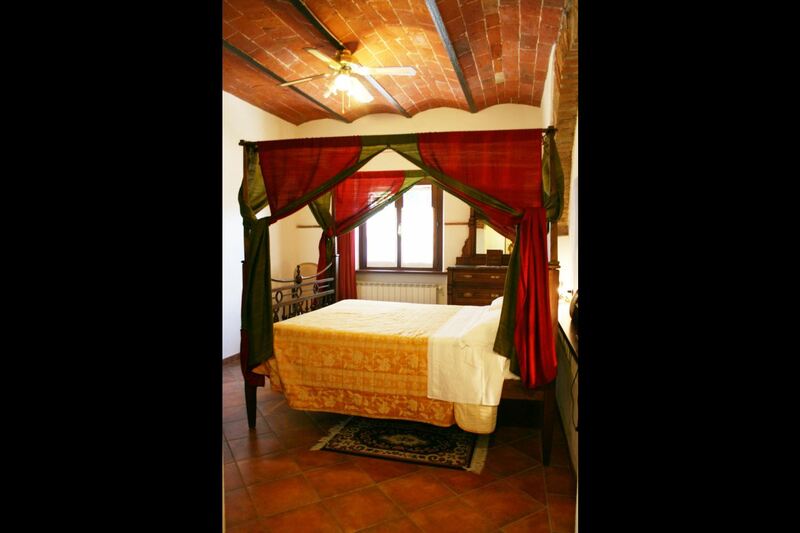 EQUIPMENT: washing-machine, oven, freezer, dish-washer, toaster, satellite TV, wireless Internet access, iron and ironing board, fly screens, fan, highchair. 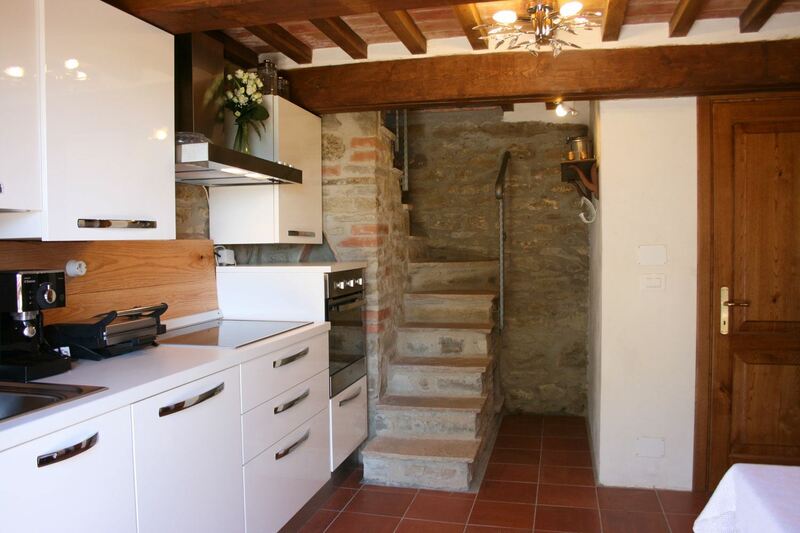 Obligatory final cleaning: Avena and Orzo Euro 50 per apartment, Miglio Euro 70. 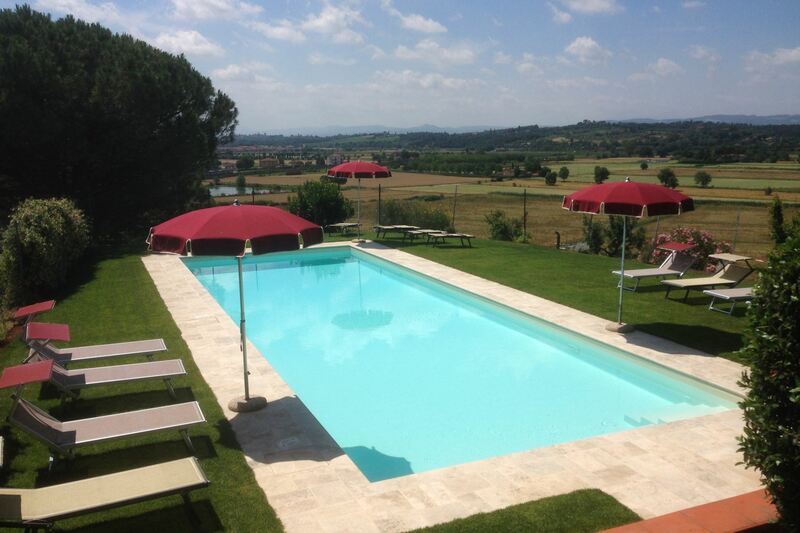 The week I spent in Molin Vecchio was fantastic. 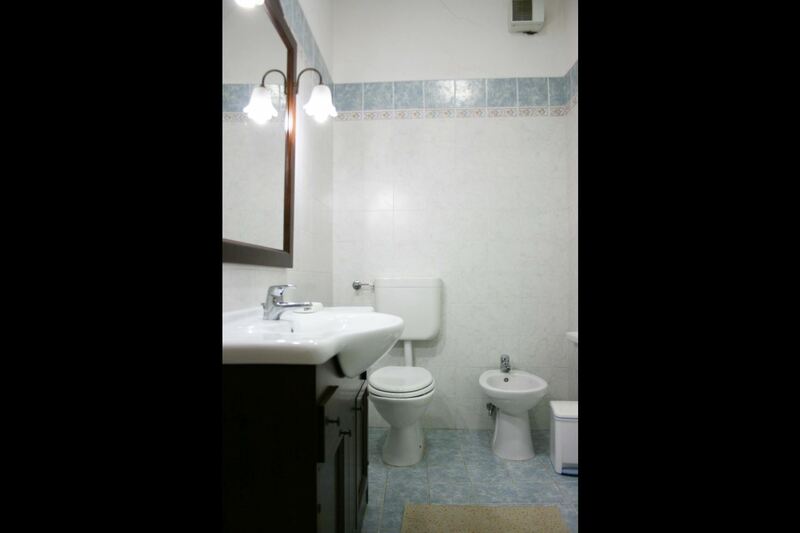 The owners are really nice and friendly, and the house is beautifully preserved with lots of space in the appartments (app. 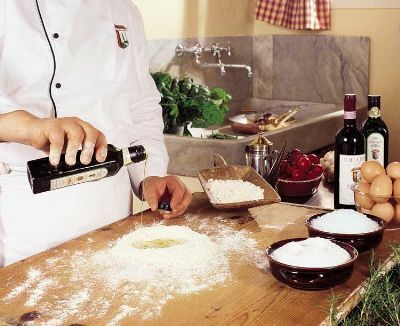 Orzo). 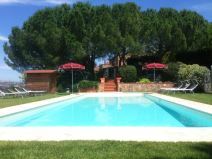 The surrounding of the house is also beautiful, especially the pool area and you virtually have no neighbours on the property. 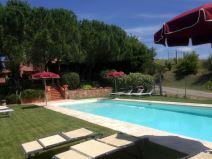 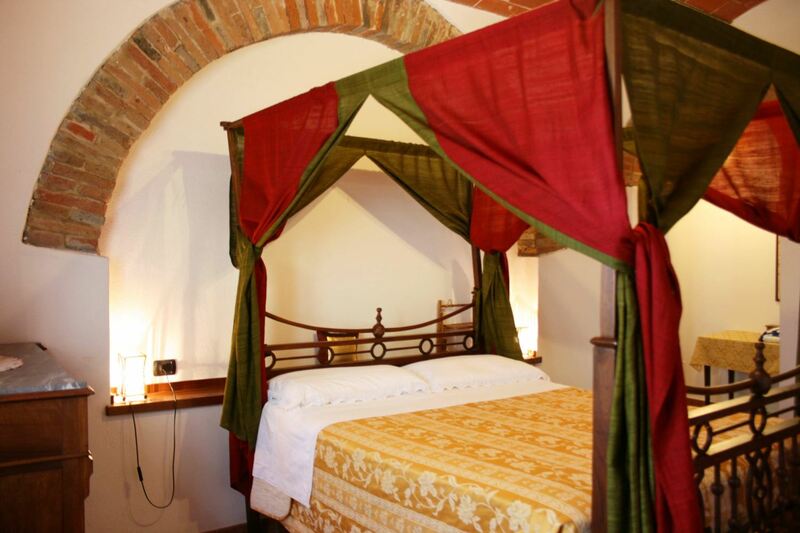 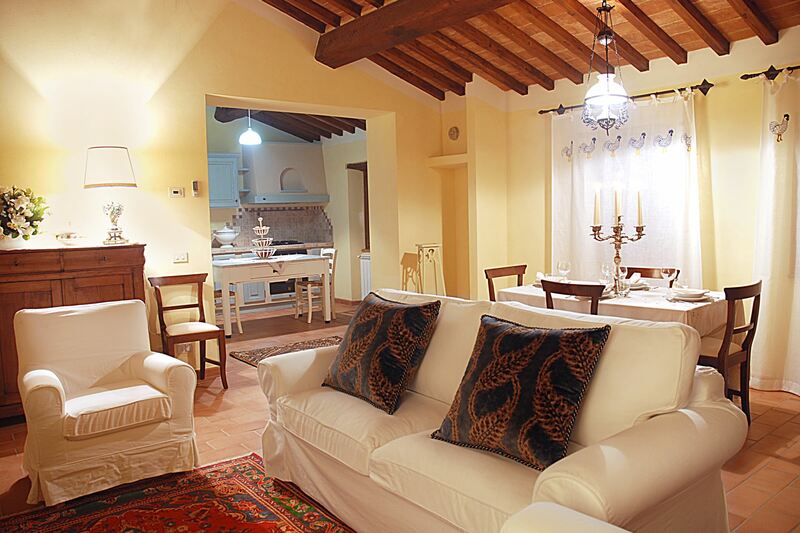 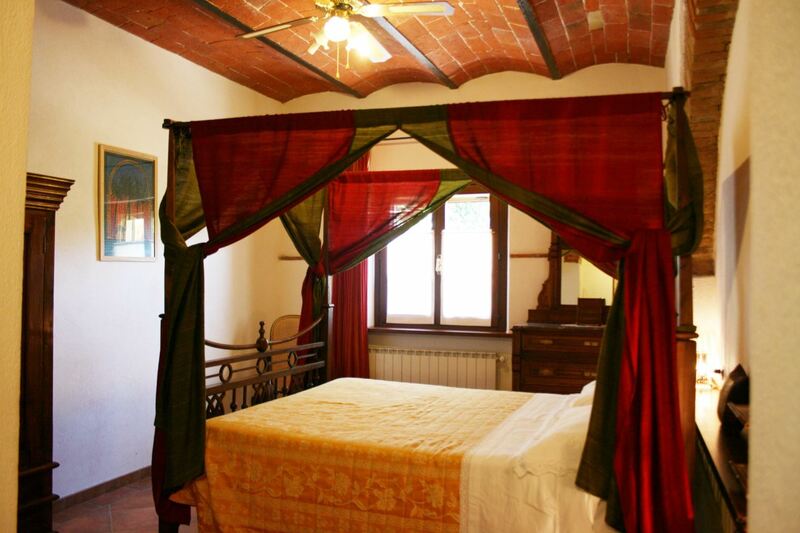 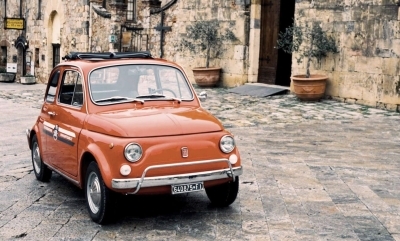 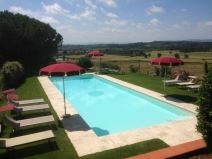 The location is ideal for visiting the biggest Tuscany and Umbrian attractions (Siena, Arezzo, Cortona, Perugia, Montalcino, Montepulciano, Pienza, Assisi, etc. 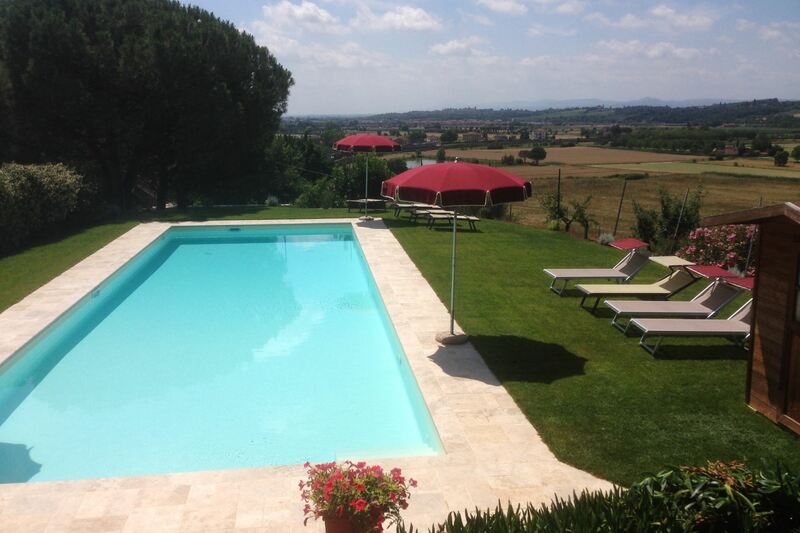 around 50km away or less).